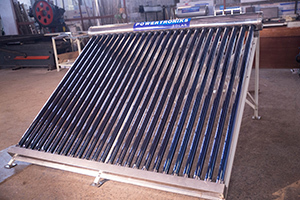 Powertroniks Solar, an initiative of industry professionals with a goal of bringing technology and innovation into renewable energy and non polluting power to homes and business in India and across the world. The Company is Part of diversified Business Group with interest in various fields from Finance, Imitation Jewellary, Hotels, Construction and Real Estate. Over the years our vision and scope has steadily expanded together with the technological advances and rapid growth of the renewable energy industry. Beginning from a small trading company to a fully integrated manufacturer in just four years.